Want to accelerate your strength and power gains — and add some variation — in the weight room? Incorporate isometric exercises into your training regimen. The term “isometric” actually comes from two Greek words meaning “equal measure.” There are a number of ways to define the word isometric but, basically, an isometric exercise is one in which there is muscle contraction without movement (muscle length does not change during contraction). Isometric exercises may also involve a pause (shorter hold) between the eccentric and concentric (up and down, or push and pull) phases of the exercise. You can increase the intensity level of isometric exercises by adding time to the “hold,” or adding weight to the exercise. How can athletes benefit from isometric exercises? Every athlete wants to be able to generate a lot of explosive force. Isometric exercises, when added to a training regimen, have been shown to help athletes produce more power. Isometric exercises can help athletes improve their ability to absorb impact and resist force. Isometric exercises are useful in helping athletes build muscle and joint stability. Because of the “mental toughness” required to hold an isometric exercise for as long as possible, athletes can learn to improve mental focus and overcome fatigue. Beginners may benefit from isometric exercises when they are unable to perform an exercise (like a pushup or chinup) with technical correctness through a full range-of-motion. The strength built, over time, by doing the isometric version of the exercise can improve their ability to perform the traditional exercise. When performing isometric exercises, athletes should strive for perfect form and posture. For most young guys, “fitness” is about being as big as possible. As we mature, we realize that fitness has little to do with the size of our biceps and more to do with how we function and perform. Performance training involves determining what your body needs on a given day (based on your activities), setting performance goals, and creating – and executing – a plan of action that’s aligned with your goals. Performance training is movement-based training, not muscle-based. Performance training is about getting stronger, not bigger. It’s about becoming more powerful, faster, and improving your endurance, mobility, and joint stability. Trust me, you’ll get the aesthetics you’re looking for from training for performance. Anterior cruciate ligament (ACL) injuries are common in basketball athletes, with a reported incidence as high as 1.6 per 1,000 player hours. An efficient plyometric training program within basketball practice can improve lower-extremity postural control and stability, according to a Journal of Strength and Conditioning Research study. In the study, plyometric (jump) training was associated with a decrease in ACL injuries by enhancing “joint awareness” — postural control and/or balance. Improvements in balance, stability, and postural control with training has positive effects on lower-extremity injury reduction. Obviously, ACL injuries are not limited to basketball players, as athletes who participate in sports that involve contact, and require jumping, quick starts and stops, and change of direction, are also at risk. 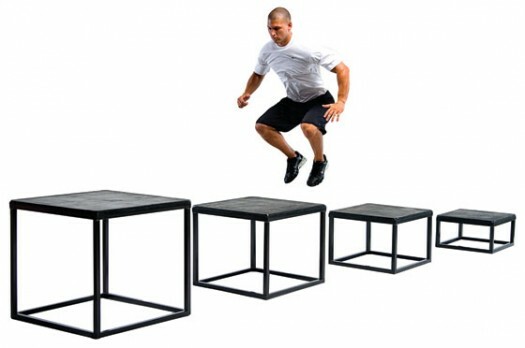 A well-designed and -supervised plyometric training program — one that incorporates appropriate intensity and volume; and teaches and emphasizes the importance of proper jump and landing mechanics — can help athletes improve performance while reducing the risk of injury. One of the goals of strength training is to reduce the likelihood of injury during training. Compared with other sports and fitness activities, strength training is actually quite safe — if and when athletes adhere to basic safety principles. Specificity should also be an important consideration when designing an exercise program to improve performance in a particular sport activity. Exercise selection should be determined in accordance with the demands and movement patterns of the sport. A strength training program designed around sport-specific exercise movements can improve performance and reduce the likelihood of injury. Always perform a dynamic (movement-based) warm-up activity — or warm-up sets — with relatively light weight in order to stimulate blood flow to the muscles and improve connective tissue (ligaments, tendons) function. Avoid static stretching as a warm-up. Perform exercises through a full range-of-motion. 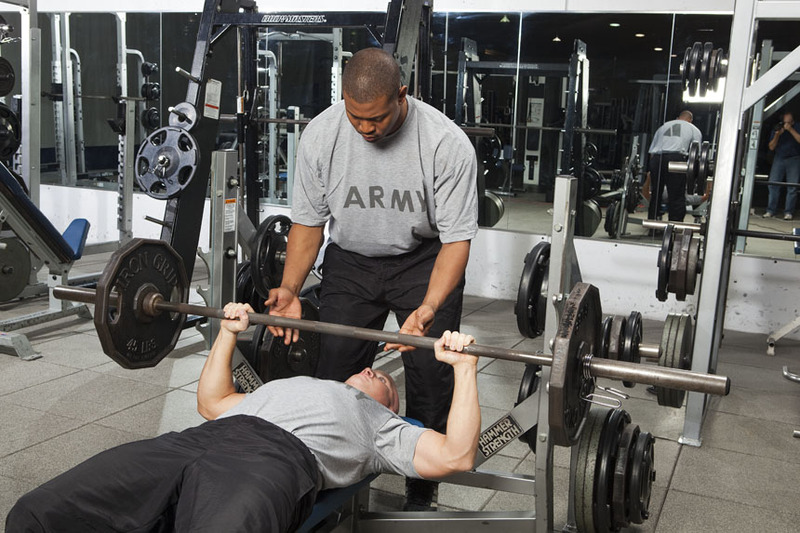 When performing a new exercise, or when training after an extended layoff (multiple weeks), use relatively light weight and gradually increase as proficiency allows. Don’t “work through” pain, especially joint pain. Working through some muscle fatigue or post-exercise muscle soreness is usually okay, but severe and persistent pain may be a warning sign to have the injury examined and treated medically. Never attempt maximal lifts without appropriate preparation, (technique) instruction, and supervision. Avoid “bouncing” at the bottom of the squat exercise, as this type of movement can cause muscle injury. Observe proper squat mechanics — keep the knee in a vertical plane through the foot and hip. Athletes should build adequate lower-body strength before beginning a lower-body plyometric program. Perform several varieties of an exercise to improve muscle development and joint stability. Exercise selection should reflect the qualitative and quantitative demands and movement patterns of the sport. Joint ranges-of-motion should be at least as great as those in the target activity. Utilize visual observation and video as tools to facilitate exercise selection and determine movements important to that sport. Exercise selection should include the three major planes — frontal, sagittal, and transverse, in order to strengthen movements between the planes. Training should be movement-based, and not muscle-based.